Coach Andrea | Business & Executive Coaching Services – Eight Essentials of Managing Your Boss! 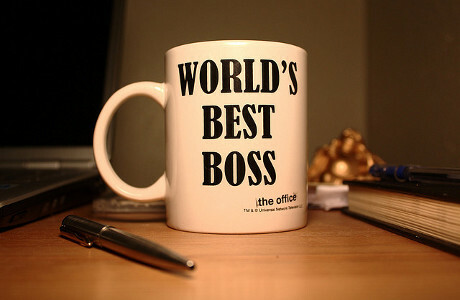 Eight Essentials of Managing Your Boss! This Sunday is Mother’s Day, a day to remember one of the first bosses in your life. Whether you are a mom, want to honor your mom or are connected to a great mom, check out this video. Scroll down to the second screen after you click on the link. Makes you think. Knowing your manager’s work habits and how to work with – or around – them. Understanding your boss’s values and how they align with your own. Communicating in ways your manager is most likely to heed and hear. Disagreeing with your leader as the loyal opposition and not the enemy. Advocating effectively for your team’s needs and interests. Incorporating your boss’s perspective as you make decisions. Earning the boss’s trust through your talent, reliability, and integrity. Building a partnership that makes successes much sweeter and failures nonfatal (p. 288). What have you found to be the most effective way to build your relationship with your employees or your relationship with your boss? Please share below so Tip readers can benefit. From: Geisler, J. (2012). Work happy: what great bosses know. New York: Center Street.